With an important message to children who experience the same things as Boj: You are not alone. It’s not your fault. You must tell someone you trust. It doesn’t have to be this way! Svein Nyhus is an illustrator and writer of children's books, born in 1962 in Tonsberg, Norway. He studied at the Norwegian National Academy of Craft and Art Industry. Among many other book projects, he illustrated Why Kings and Queens Don’t Wear Crowns, written by Princess Martha Louise of Norway, and the New York Times Best Seller What Does the Fox Say?, based on Ylvis’s YouTube hit The Fox. He lives in Tjøme in Vestfold with his wife, Gro Dahle. *Starred Review. The text and images combine in surreal fashion what is actually happening with what the son is feeling/imagining—an effective strategy to maximize impact while avoiding displays of physical contact...its powerful saga signaling to hurting readers that they are not alone—and that asking for help can bring relief. 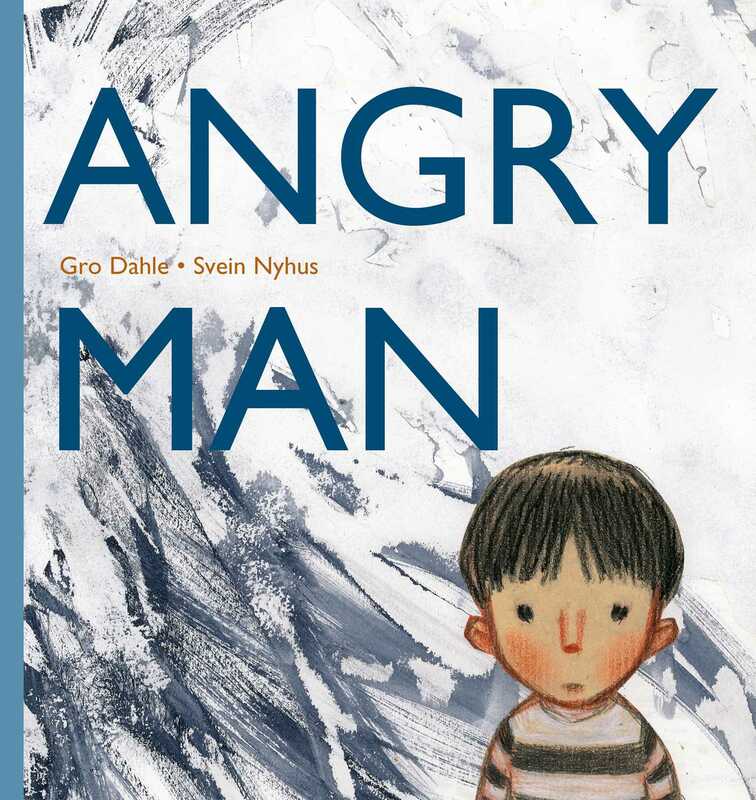 Angryman is unlike any picture book I’ve seen before...it is a story that also genuinely understands the troubled dynamics of a woman dependent on a man who abuses her and excuses him for it; a child who wears the guilt for it like a heavy blanket; and the necessity during healing and recovery for an examination of the abuser’s own childhood. Written in captivating and poetic language, this exquisitely told story gives readers a sensitive glimpse into the mind and heart of a young boy as he struggles to understand, relate to, and express love toward his angry, out of control father. The superbly artistic illustrations are especially powerful in their depiction of the terror, pain, and longing felt by children who live with a parent who is at times loving and at other times violent. This book is destined to become a classic in children’s contemporary literature, as it reflects, in vivid color, the realities faced by millions of children all over the world who grow up in families affected by domestic violence. At once straightforward and yet lyrical, the third-person narrative is childlike and oftentimes heartbreaking.